Ozhotels is a group of independently owned and non-related hotels, motels and serviced apartments providing a wide range of affordable Sydney accommodation. Oz hotels Sydney allows you to deal directly with the properties, which ensures that you get the best possible rates for these Sydney hotels and apartments. 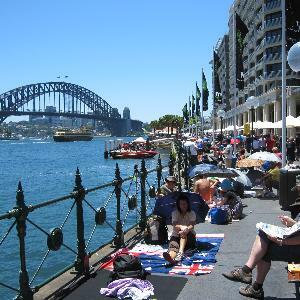 So book your business of holiday accommodation online directly with these places in Sydney and save !!! 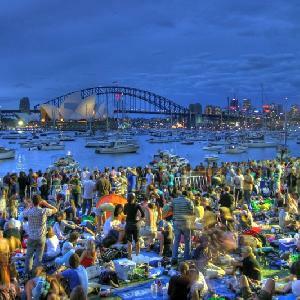 The New Years Eve fireworks display in Sydney is well known for being one of the best in the world. 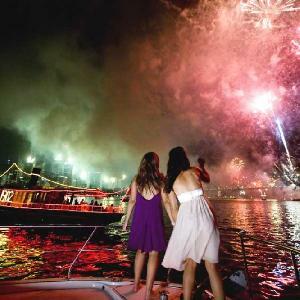 This is not only because Sydney has such a beautiful harbour that hosts the display and that so many people are able to watch the fireworks from all along the harbour foreshore. 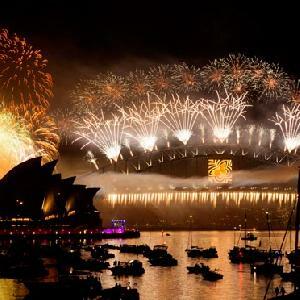 The other reason why Sydney is so popular on New Years Eve is because of the warm summer weather and the city's iconic buildings like the Opera House and Sydney Harbour Bridge, which provide the perfect backdrop for the colourful explosions of light that the city puts on. There are a few different places along the harbour from where the fireworks are set off and if you are lucky enough to get accommodation in one of the city's high rise apartment buildings or hotels then you will have a great vantage point to view everything from. The only disadvantage of the Sydney New Years Eve fireworks is that you have to book your accommodation very early in order to get a good spot. The best way to get into the city centre to see the Sydney New Years Eve fireworks display is to catch public transport. 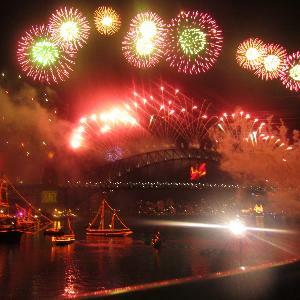 You can take advantage of the many extra train, bus and ferry services that are available all throughout the night of New Years Eve, although be aware that getting home after the fireworks can take some patience, especially when it comes to catching the ferries from Circular Quay or trains from one of the main city stations. One of the best things about staying in the modern and luxuriously appointed serviced apartmens at the Oaks Goldsbrough in Sydney is that you will be conveniently situated on Darling Harbour, which is the home of an extensive fireworks display on New Years Eve. The Oaks Goldsbrough Apartments has a range of outstanding facilities and service which ensures that you have a great stay in Sydney. The APX Apartments in Darling Harbour are ideally situated close to many of Sydney's main attractions including the world-class Sydney aquarium, IMAX theatre, the city centre, Paddy's Market, the Sydney Exhibition and Convention Centre and of course the Sydney Harbour Bridge. The APX Apartments Darling Harbour offers a choice of spacious serviced studio & 1 bedroom apartments, all of which have been recently refurbished to the highest standards. Located in a prime position for the New Years Eve fireworks display the Napoleon on Kent offers travellers the choice of modern studio & 1 bedroom apartments accommodation, which are ideal for business & leisure. The property is ideally located less than 300 metres from Wynyard Station at the foot of the Harbour Bridge and is just a short stroll to the historic Rocks area, Darling Harbour and Circular Quay. 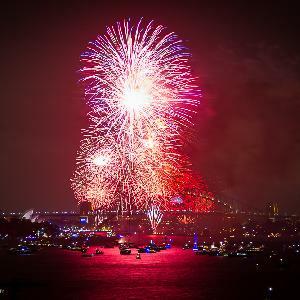 If you want Sydney accommodation that has a captivating view across Sydney Harbour to the Harbour Bridge in order to see the New Years Eve fireworks then the Macleay Serviced Apartments is the perfect palce for you to stay. With a selection of self catering studio hotel accommodation & 2 bedroom self contained serviced apartments the Macleay Serviced Apartments is ideally positioned in stylish Potts Point just a short stroll to Sydney's famous landmarks, Circular Quay and the Sydney CBD. Another great place to stay for New Years Eve in Sydney is on the North Shore and the Milson Serviced Apartments has a range of self contained executive 1, 2 and 3 bedroom apartments located just a stone's throw from the Sydney Harbour Bridge and the city's magnificent waterways. Staying at the Milson Serviced Apartments in Milsons Point you will be able to relax in a superb neighbourhood only minutes away from the Sydney CBD.